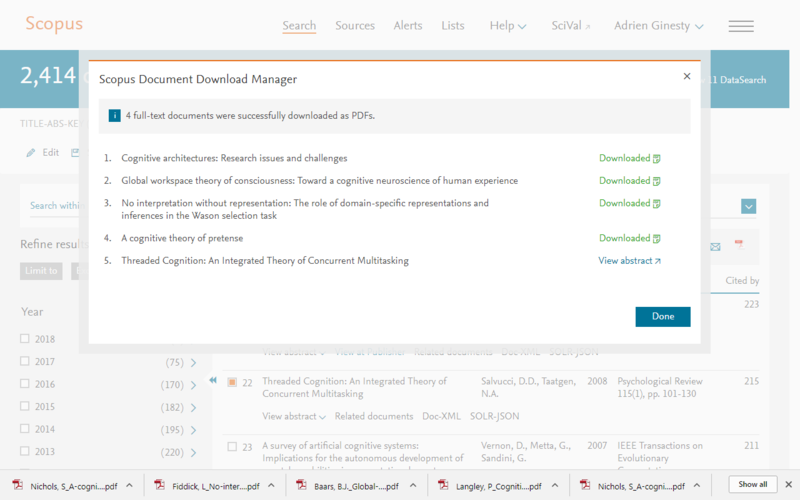 We recently launched a new Document Download Manager feature compatible with Google Chrome, the browser of choice for the majority of Scopus users. The Document Download Manager allows you to select one or more abstract and then automatically download the PDF full-text version(s), from publisher web sites. 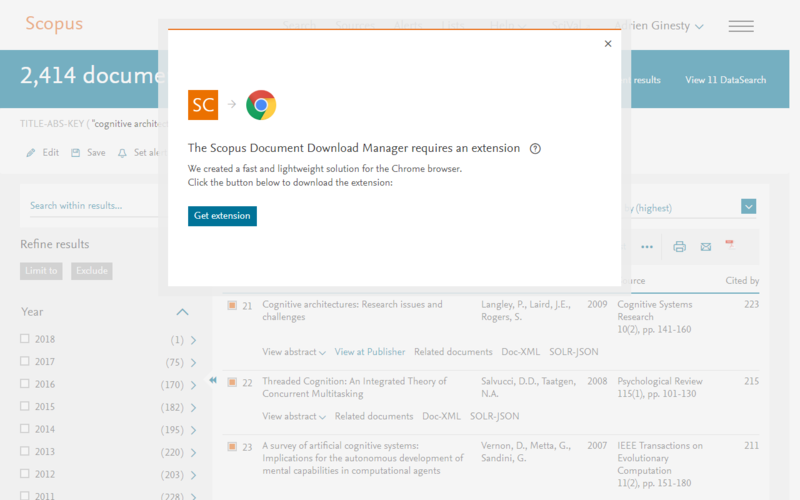 If you are a Chrome user and try to use the current Document Download Manager, you will get a pop-up message alerting you to a new and free browser extension that enables download functionality on Scopus. From an abstract record page, by clicking on the Download button. A browser extension, as opposed to an on-product application, allows the Document Download Manager to recognize your IP authentication and grants you access to the full-text content your institution subscribes to across multiple publishers. The first version of the extension is for Google Chrome as that is the most commonly used browser among Scopus users. Stay tuned though, because extensions for other browsers will be coming soon. The current Document Download Manager on Scopus, which is only compatible with Internet Explorer 10 and 11, will remain to continue to support the customers that use it.